Half the reason we love the holiday season is because it gives us so many reasons to get gussied up. (After all, few nights permit as much glitter as New Year’s Eve!) Our party calendar’s filling up, and we turned to Pinterest for beauty inspiration for all those festive evenings. 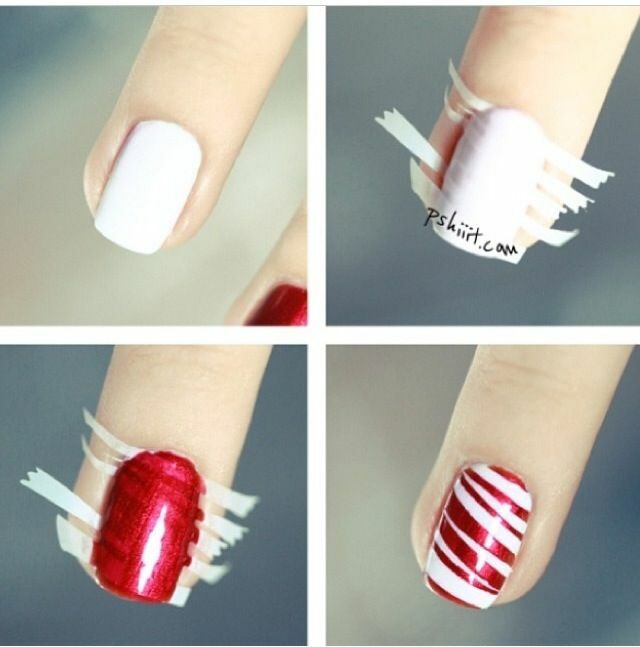 From frosty eyes to candy nails, we found a winter wonderland of tutorials. Whether you’re a Christmas traditionalist or will be completing feats of strength around the Festivus pole, we promise we’ve found something for you. We love this look for daytime — a little frosty shimmer warms eyes right up. We’ll never look at the Thanksgiving table the same way, now that we’ve realized cranberry sauce can be an eyeshadow inspiration. You basically can never go wrong with gold shadow. Gold pigment makes an ordinary lip extra festive — and helps set the lipstick for a look that lasts all day. Not for the faint of heart! We’ll be saving this one for December 31. Gold eyes and a bold red lip: A holiday beauty classic. The metallic gold on the lower lid! We’re obsessed. 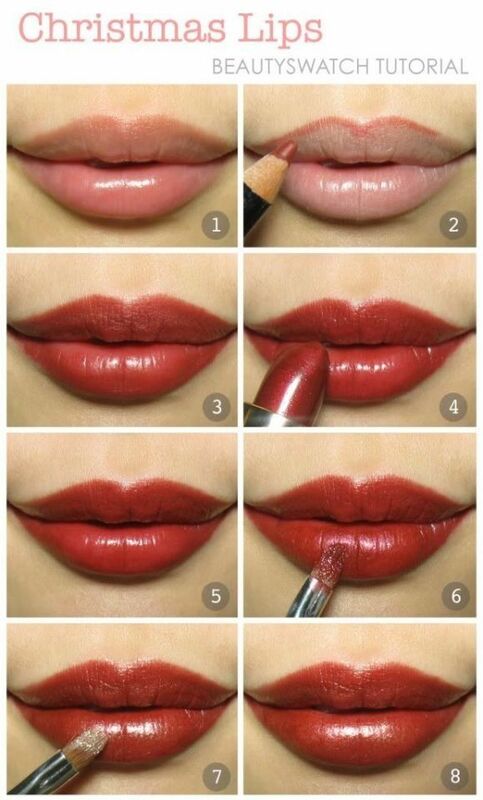 This is a great beauty look to begin with, and the warm red tones are perfect for the holidays. Winter looks don’t always have to be dark and sultry. A more subtle take on the bold gold shadow.